What is runtime you ask? - Think of it as a library that takes care of converting the code that you write in a high level language like Java to machine code that the processor/cpu will understand. Android uses virtual machine as it's runtime (like JVM) which makes it "write once run everywhere". Lets step back a little and see how did we reached to ART. We all know Dalvik was used as the virtual machine. 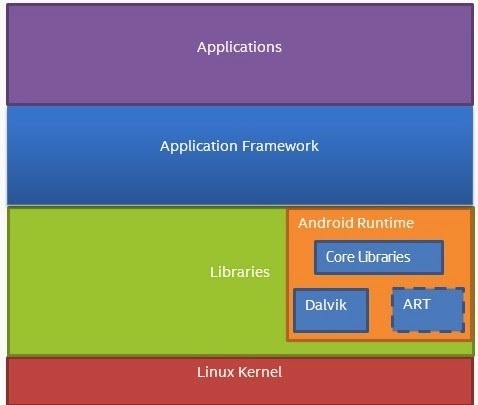 In it's simple form consider Dalvik as JVM optimized for mobile platforms. Later from Android 2.2 (Froyo) JIT compiler was launched (which Dalvik used) to further optimize and improve applications performance. JIT allows code to be directly compiled to native code (unlike interpreting it every time) and use the same thereafter. JIT did these only for so called "identified hotspots" (typically code snippets getting executed very frequently). So still major code was interpreted and need was felt to further optimize and improve performance of Android application and hence from Android 4.4 (kitkat) ART was introduced as a runtime and from Android 5.0 (Lollipop) it has completely replaced Dalvik. So Dalvik used JIT(Just in time) compilation where as ART uses AOT (Ahead of time) compilation. Lets see what that is. We all know android apps come in .apk format. You essentially write you code in Java (.java classes) which are bundled in apk files. While application gets bundles your java classes are converted to bytecodes (.dex) files. 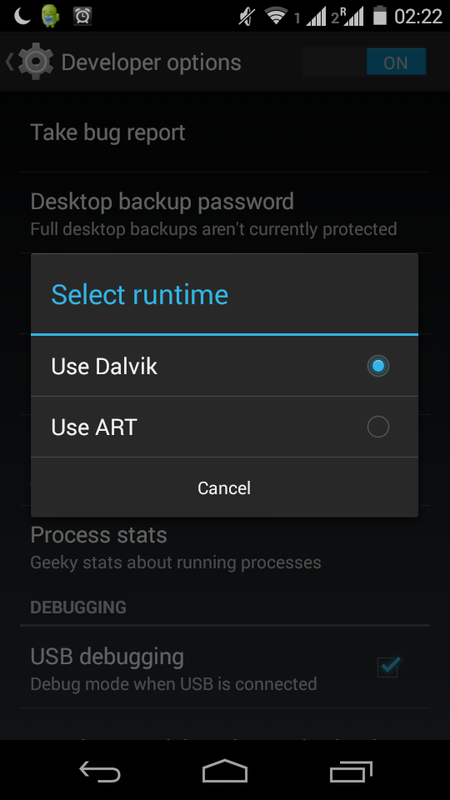 This is common for both Dalvik as well as ART. Difference is what comes next. In JIT/Dalvik every time an application is launched byte code is interpreted line by line. If a routine or function is identified as hotspot it is directly compiled to native code by JIT with optimization. This leads to time and memory footprint overhead as this is done on the fly when application is running. The JIT compiled code is then run directly everytime thereafter (no interpretation needed) which increases the performance. In AOT/ART when application (.apk) file is installed entire byte code is converted to machine code and stored in the persistent storage. As this is on installation this happens only once. Every time the application is launched this machine code is directly executed. No need of interpreter. yes it takes more storage space as compiled native code is stored in the storage but takes less CPU and less RAM (memory footprint). Reduces startup time of applications as native code is directly executed. Improves battery performance as power utilized to interprete byte codes line by line is saved. As JIT is not in the picture no on the fly compilation and native code storage. This significantly reduces memory footprint (less RAM is required for application to run). As the native machine code generated on installation is stored in internal storage, more internal storage is required.